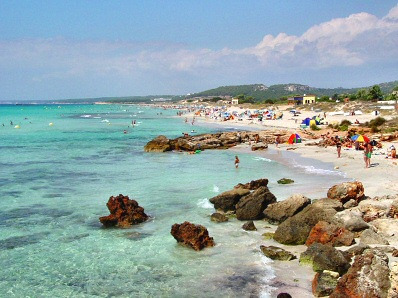 Holidays to Son Bou transport you to the southern coast of Menorca, twelve kilometres from the principle town, Mahon. It is an attractive resort framed by wooded hills and boasting one of the longest beaches on the island. 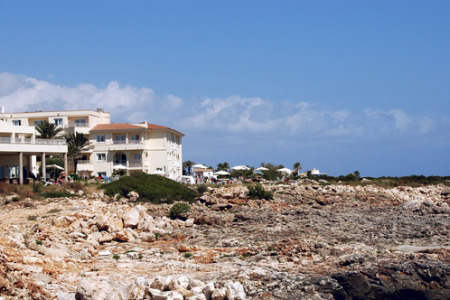 Son Bou holidays are very popular with families and couples of all ages. The long stretch of white sand offers safe bathing as well as a variety of water sports. A road train runs along the length of the beach giving easy access to all parts of the resort. Holidays in Son Bou can be taken from April to the end of October with temperatures rising from twenty to low thirties at the height of the season.